The Aquatic Solution Conference is co-located with AUVSI’s XPONENTIAL 2016. The 2016 Americas edition of the ASC Conference is proudly co-located with AUVSI’s XPONENTIAL. Both events are focused on the technological advancement of (under water) unmanned vehicles. To serve broadly as service tool for men: to do research, to perform surveillance tasks, to repair applications in hazardous conditions, etc. Sharing knowledge throughout the industry will serve technological progress. AUVSI has been the industry’s go-to organization for over 40 years. We are at an exciting inflection point today, where advancements in technology are allowing us to build upon our noble heritage of protecting citizens around the world. 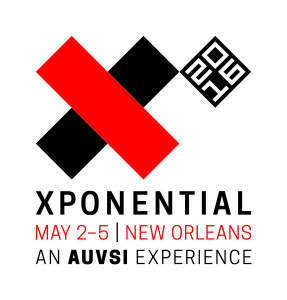 XPONENTIAL captures the potential of this industry, and defines AUVSI’s commitment to you – now and into the future. Serving as the intersection for commercial and defense applications, and advancing all domains, XPONENTIAL is committed to serving as your ultimate industry brand experience.